The land of spirituality and cultural diversity, Chitrakoot is a place that has been an important pilgrim destination for a long time. The literal meaning of ‘Chitrakoot’ is ‘the hill of many wonders’. 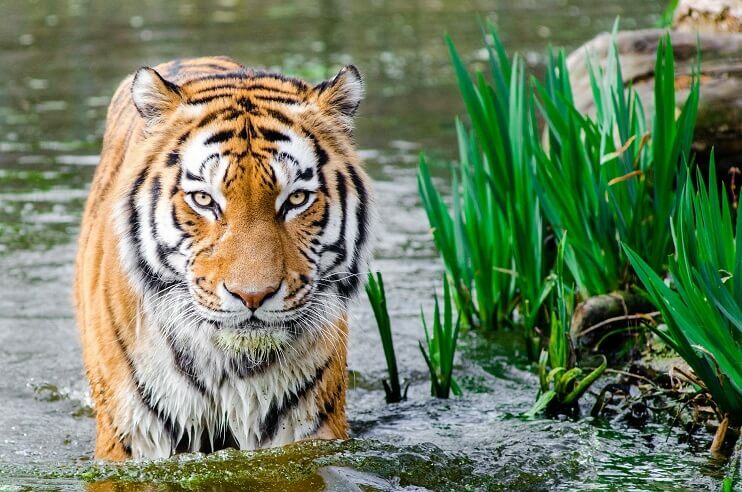 Located in the state of Madhya Pradesh, the town of Chitrakoot borders the district of Chitrakoot in Uttar Pradesh. The place also has its mention in the Hindu epic Ramayana. It was the deep green forest of Chitrakoot where Lord Rama along with his consort Goddess Sita and brother Laxman spent their eleven years out of the total fourteen years of exile. Its connection with Ramayana makes Chitrakoot one of the most popular sacred destinations in India. Not just this, Chitrakoot is also the land where Lord Shiva, Vishnu and Brahma took incarnations. At present, the town is blessed with the numerous Hindu temples and various sacred sites that remain dotted with a large pack of devotees round the year. A perfect mix of natural beauty, spirituality, history and serenity, Chitrakoot is a place for every traveller and a visit to this tourist destination in Madhya Pradesh is nothing more than a magical experience. Being the land that once served the home to Lord Rama, the town of Chitrakoot boasts a high sacred significance in the hearts of devotees. 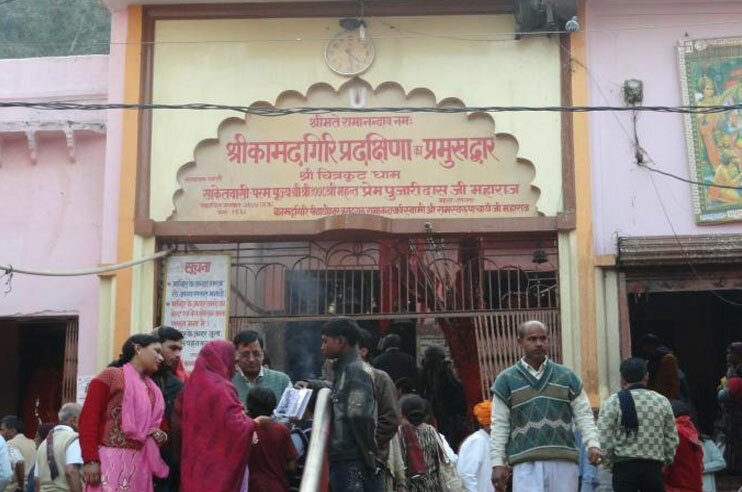 The town has numerous sacred destinations that are visited by hundreds of devotees every day. 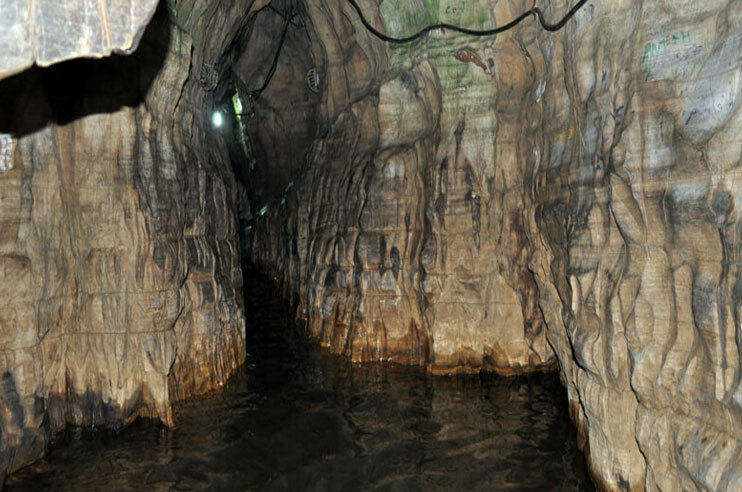 From temples to river banks to cave, there are various holy places in Chitrakoot to explore. The origin of these places derived from different tales and legends in Hindu mythology. Such is the charm of the beautiful town of Chitrakoot that it is often touted as the Abode of Gods. 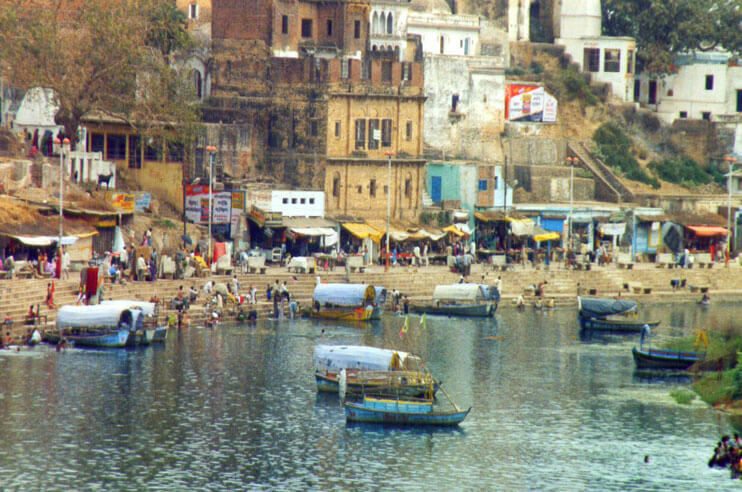 One of the most popular pilgrimage destinations in Chitrakoot, Ram Ghat lies on the banks of Mandakini River. As per the Hindu Mythology, this is the place where Lord Rama along with Goddess Sita and Laxman had a chat with Saint Goswami Tulsidas. The evening aarti at Ram Ghat is one of the most serene experiences one could ever wish to relish at any sacred destination. Adding a different charm to the popular tourist site in Chitrakoot are surreal views of sunrise and sunset. 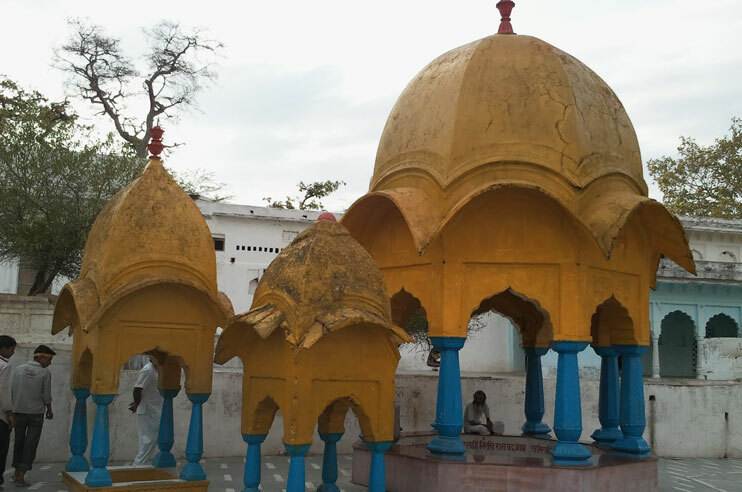 Some 17 km from Chitrakoot, there is located another revered sacred site – Gupt Godavari. It is a set of two caves with water till knee-high level. According to the folklore, Gupt Godavari is the place where Lord Rama and Laxman stayed for some time during their exile period. Despite the entrance being narrow, the cave is a bit spacious from inside. Hanuman Dhara is a temple dedicated to Lord Hanuman and is built on a top of a massive rock. In order to reach the temple, one has to climb several steps. While ascending towards this famous temple in Chitrakoot, one can adore the sweeping view of the entire town. As per the legend, Hanuman Dhara is the place where Lord Rama stayed with Lord Hanuman after he set the entire Lanka on fire. This is also the place where Lord Rama helped Lord Hanuman to pacify his anger. On the Karvi-Devagana road, Ganesh Bagh is a historical construction that dates back to the 19th-century. Built by Vinayak Raj Peshwa as a summer retreat, Ganesh Bagh includes a step well along with a small palace. There is also a temple which boasts intricate interior and carvings reflecting the beautiful art of Khajuraho. Because of its architectural grandeur, Ganesh Bagh in Chitrakoot is also touted as the mini Khajuraho. 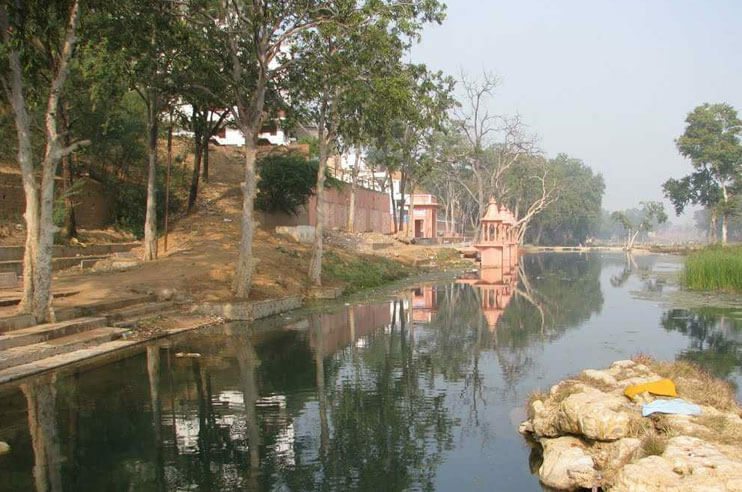 Located at a distance of around 4 km from Ram Ghat, Janki Kund is another sacred place in Chitrakoot which is associated with the Hindu epic Ramayana. According to the legend, it is said that Janki Kund is the place where Goddess Sita used to take bath during the exile period. In its nearby, there is situated a boulder house which houses the footprints of Goddess Sita on the rocks. Originally, Janki Kund is a small stretch of the Mandakini River. 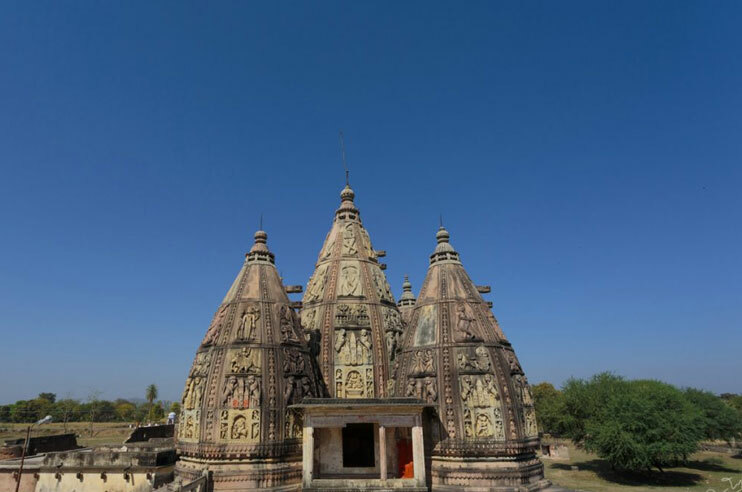 Another popular pilgrimage destination in the town of Chitrakoot, Kamadgiri Temple is located on a forested hill renowned by the same name as the temple. Lord Rama is the presiding deity of this shrine. It is said that devotees who perform a parikrama (going round) of the hill will receive the holy blessings of the Almighty. Not just this, it is also believed that all the wishes of that person will also come true. Marks the spot where Lord Rama and his brother Bharat met during the exile period, Bharat Milap Temple is located on the same hill on which the temple of Kamadgiri is situated. It is said the meeting of the brother was such a sublime that even the mountains and rocks of the region started melting. However, today, the footprints of Lord Rama and his brothers can be seen on the rocks presented at the temple site. The holy town of Chitrakoot offers a good range of accommodation options for tourists. These options range from hotels and resorts that come in the range of every budget. 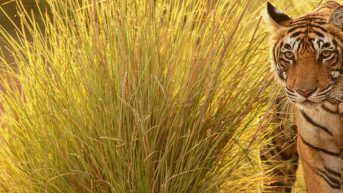 Whether deluxe, standard or budget, the town has plenty of options to choose from when it comes where to stay in Chitrakoot. Situated at the different region of the town, the accommodations in Chitrakoot are available in the form of hotel, resort and homestays. Besides, these lodgings in Chitrakoot also guarantees to be masterly capable of delivering basic modern facilities, warm hospitality and most importantly a comfortable stay. For travellers, Chitrakoot offers far more than a just pilgrimage. Besides the temple tours or sightseeing at different ghats, Chitrakoot also proffers an opportunity for tourists to unveil the undiscovered side of the town which is nature. In Chitrakoot, tourists can explore the gorgeous waterfalls, Marpha and Shabari Fall are two popular names in the list of waterfalls in Chitrakut. Shopping is the core of any vacation. And while in Chitrakoot, you get a fair opportunity to shop. However, being a sacred destination, the shops here sell mostly religious souvenirs. So, you can go out and hunt for something. Tasting local delicacies is another popular thing to do in Chitrakoot. The local eateries shop and restaurants serve the best taste of Indian cuisine with a touch of their local culture. The town of Chitrakoot not the only popular tourist place in the region. 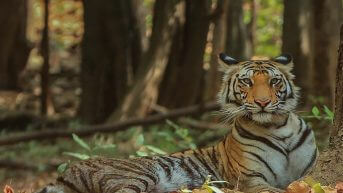 In its near proximity, there are several places that are also visited by tourists after exploring Chitrakoot. 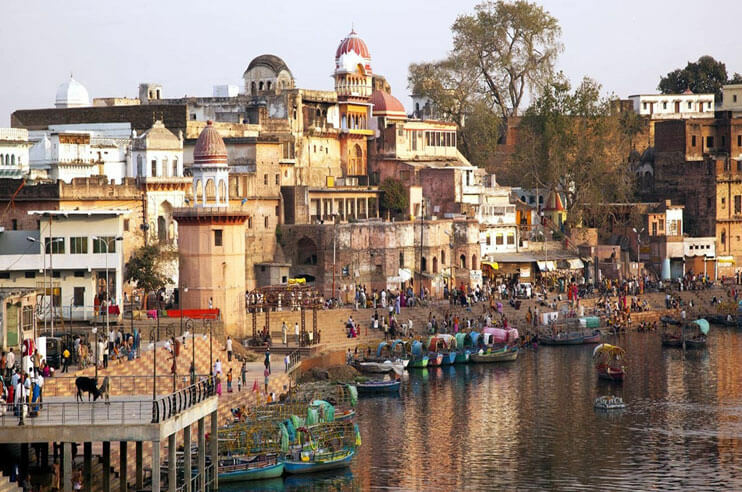 The first is the oldest city of India – Varanasi which is located at a distance of 259 km from Chitrakoot. Like Chitrakoot, the city of Varanasi is also known for its connection with various sacred events. Praygraj, earlier Allahabad, is another popular tourist destination near Chitrakoot which is situated at a distance of 129 km. Allahabad is one of the most renowned cities in the state of Uttar Pradesh which is touted as the land the where famous Kumbh Mela is observed. Some 259 km from Chitrakoot, there lies another sacred land – Ayodhya. The birth land of Lord Rama, Ayodhya is known for its sacred temples and ghats. 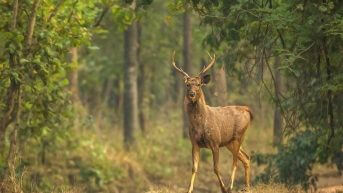 After exploring Chitrakoot, a large number of tourists also visit the town of Vidhyanchal. Located in Uttar Pradesh, Vidhyanchal is referred as one of the most revered Shaktipeeths of Goddess Vidhyavasini. Chitrakoot is one of the most popular holy places in India which is visited by a larger chunk of people, both devotees and tourists, throughout the year. Although one can visit the place any time during a year, yet, winter is considered the best season to visit Chitrakoot because of the favourable weather conditions. With the month of March, the summer season in Chitrakoot marks its onset. 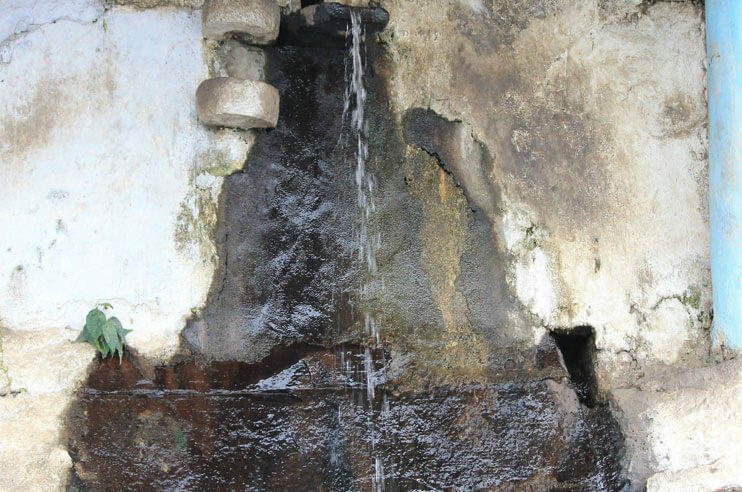 Throughout the season, the town witnesses hot and humid weather conditions that remain a hindrance while exploring the town. Despite such unfavourable weather condition, a lot of tourists visit the place. 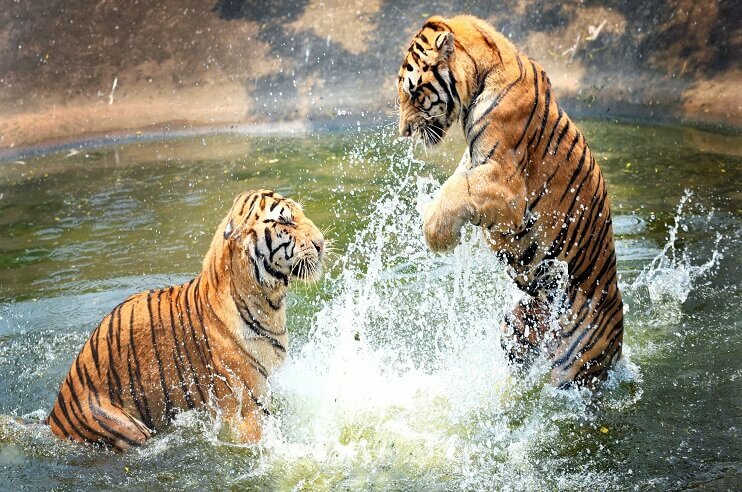 However, it is advisable to avoid the season to make it the most out of your Chitrakoot vacation. The months from October to February witness the best time to visit Chitrakoot, which is the winter season. During this time, the temperature of the town falls down to 8°C that makes weather conditions cool, calm and pleasant. 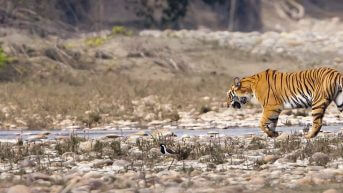 During the months of winter, Chitrakoot receives the maximum footfall of tourists and devotees. Lasts for just three months, monsoon season brings a sense of freshness and tranquillity in the air of the town. The season experiences heavy showering that gives a reason to avoid visiting Chitrakoot during this time. Perhaps, the season eases off the blistering heat of the summer. Reaching Chitrakoot is neither a difficult task nor a complicated one. Being one of the most frequented tourist destinations in Madhya Pradesh, Chitrakoot boasts impressive transit connectivity to all the means of transport, whether rail, road and air. Yet, the best way to reach Chitrakoot is the railway. 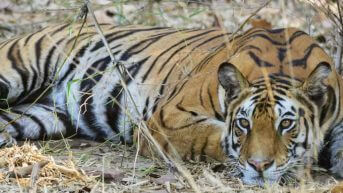 However, for those travelling to Chitrakoot from Bandhavgarh, the best option to reach is by train. 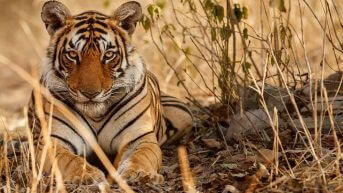 You can board a train from Umaria railway station, 33 km from Bandhavgarh National Park to Chitrakootdham Karvi Railway Station, which is around 10 km from the downtown of Chitrakoot. 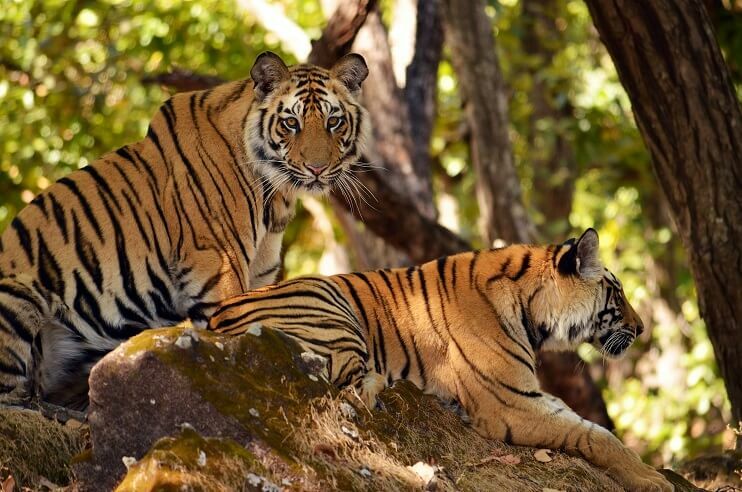 You can also prefer a drive from Bandhavgarh to Chitrakoot. The distance between the two destinations is 207 km. Allahabad Airport serves the nearest airhead from Chitrakoot which is located at a distance of 119 km. 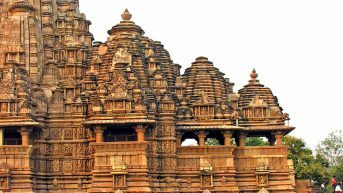 Another nearest airport to Chitrakoot is Khajuraho which is situated at a distance of some 151 km. Both the airports boast good connectivity to all the major cities of the country. However, both the airports are domestic. The distance between the airport and the town can be covered through a road drive via taxi which is available at the airport. Along with air and rail, the town of Chitrakoot is also pretty well-connected with roads and highways network to nearby cities. Buses from places like Prayagraj, Panna, Banda and Satna are available to Chitrakoot. Besides, one can also prefer a self-drive from nearby regions to reach the town. Chitrakootdham Karvi Railway Station is the nearest railhead to Chitrakoot which is located at a distance of 10km. The station connects almost all the major cities like Delhi, Mumbai, Chennai and Kolkata to the town of Chitrakoot. Without a doubt, the railway is the best way to reach Chitrakoot. From the station, one can hire a taxi to reach the destination.